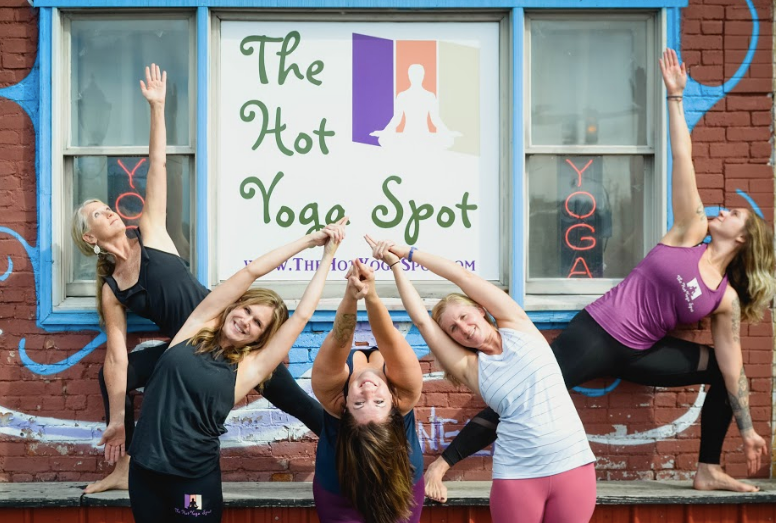 With the variety of yoga classes available at The Hot Yoga Spot, beginner students and those new to our studios may not know which class they should take first. If you find yourself in this situation, keep reading to learn a bit more about the classes we offer at our New York yoga studio. For those ready to pick up the pace, try our Power Yoga and Vinyasa Flow class, both of which have faster flows and more advanced movements than our beginner options. If you're feeling intimidated, don't - our experienced instructors are there to help you with the positions. If you've taken a heated yoga class before and love the sweaty vibes, you'll find yourself right at home in our studios. We offer Bikram yoga classes which are always at 105 degrees and feature a specific 26-posture sequence every time. Two other challenging sweaty options include our Baptiste Yoga classes, a blend of Bikram, Ashtanga and Iyengar in a fast-flowing format, and Barkan Yoga class, a series of familiar Bikram poses with a vinyasa flow flair. In addition to traditional yoga classes, we also have a variety of fitness class/yoga mixes to get you into shape! Our Barre Bootcamp, YOD, Iron Yoga, and Ignite classes feature more exercise-based movements to help you get stronger and increase your endurance. Our Iron Yoga class incorporate light weights, while out Ignite and YOD classes utilize your own bodyweight to have you feeling the burn in no time. Our motivating instructors will lead you from warm-up to cool down, and help with your form for a safe yet effective workout. Last but not least, our Yin Yoga is perfect for those looking to slow down and relax! It's our most gentle and relaxing option and focuses on fewer poses and longer holds during a normal class length. Yin Yoga is an excellent deep muscle stretch as well as a peaceful and relaxing overall experience. Interested in learning more? Give us a call or sign up for our introductory special for 1 week of classes for $25, and give all our class types a try for yourself!